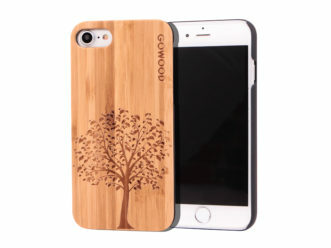 Protect and style your beautiful iPhone X or XS with a Go Wood iPhone X and XS wood case. 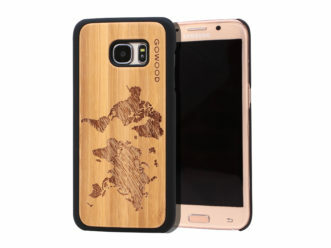 A unique combination of strong polycarbonate finished with a rubber coating and a real bamboo backside. 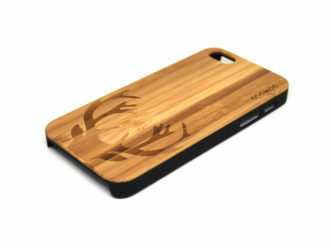 FITS THE IPHONE X AND IPHONE XS – (not the Max). 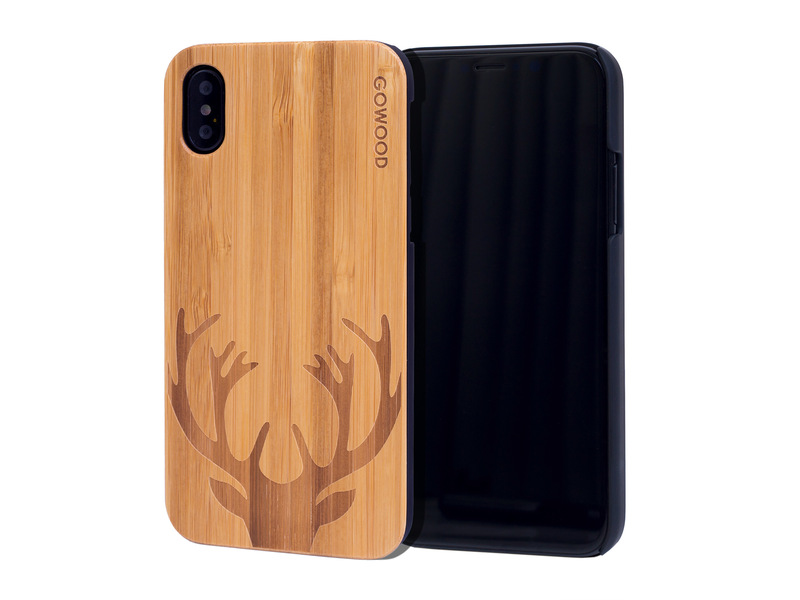 The phone case fits tight around the iPhone X / XS and leaves enough space around the buttons and sockets for easy usage. 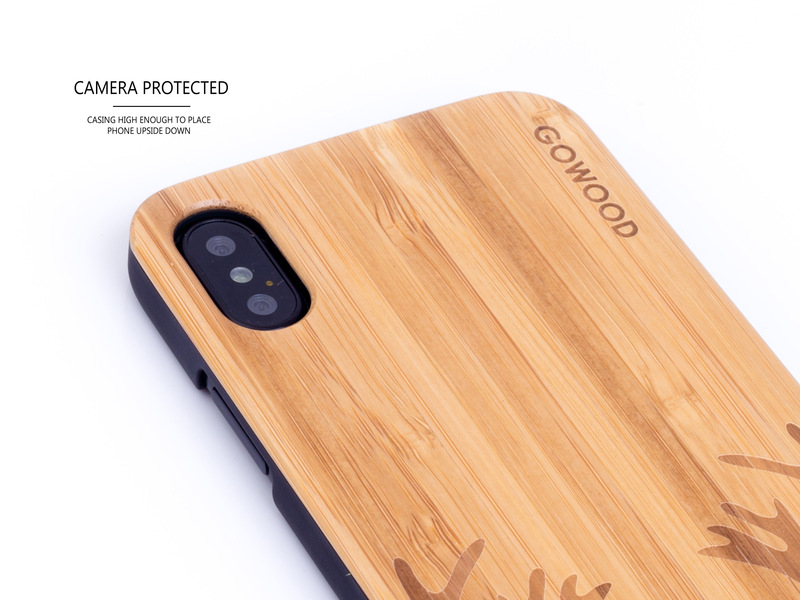 SUPER LIGHT SLIM CASE – The iPhone X / XS protective case only weighs 30 grams. 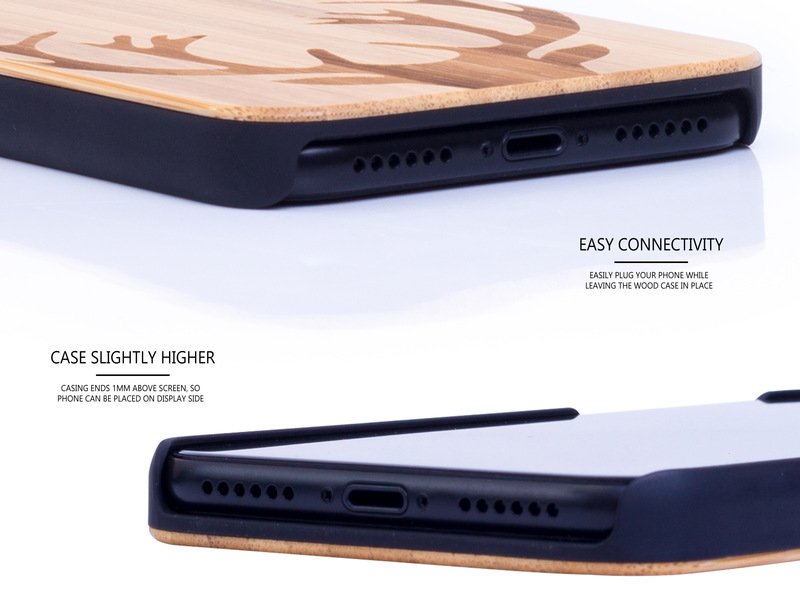 Forget about adding bulk or weight to your phone. 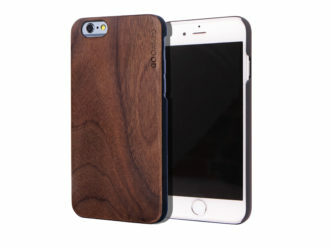 REAL WOOD – Others often sell phone cases with fake wood. Not us. 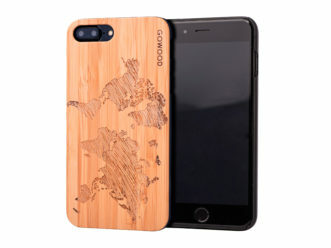 The backplate is made of real natural bamboo wood. Just like how you’d expect it to be. 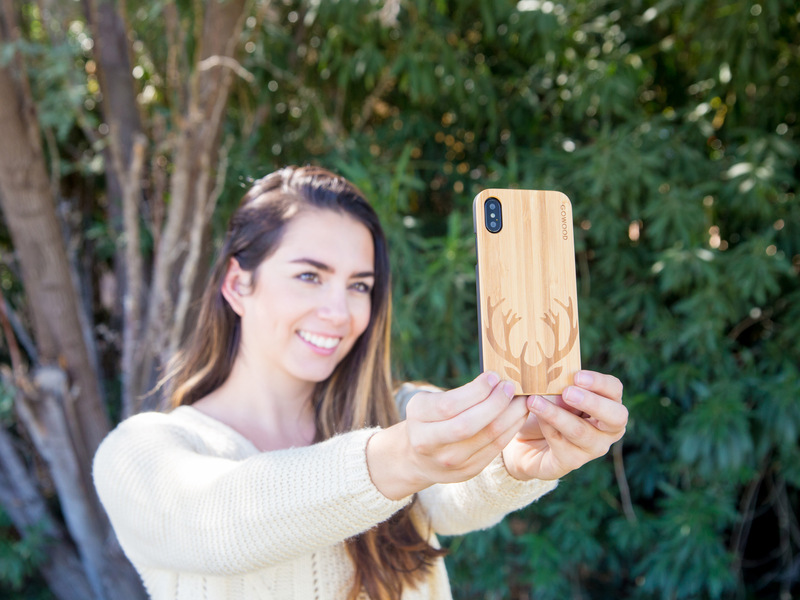 SAFELY PLACE PHONE UPSIDE DOWN – The edge of the case ends 1 mm above the screen, allowing you to place your iPhone X / XS upside down without damaging the screen. 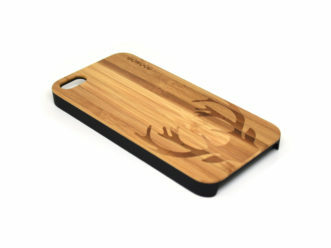 It also allows for a screen protector. RISK FREE – We gladly take away all risk. We offer an easy return policy. If you changed your mind, just return it undamaged and get fully refunded. Please note, the iPhone X / XS wood case is also available with world map engraving, tree engraving or in all natural walnut. 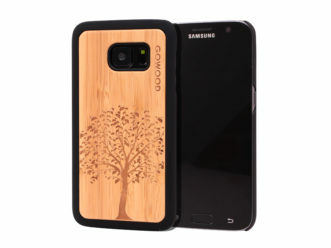 Don’t have an iPhone X / XS, but another phone? 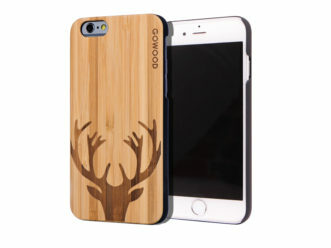 Check out all our wood phone cases here. 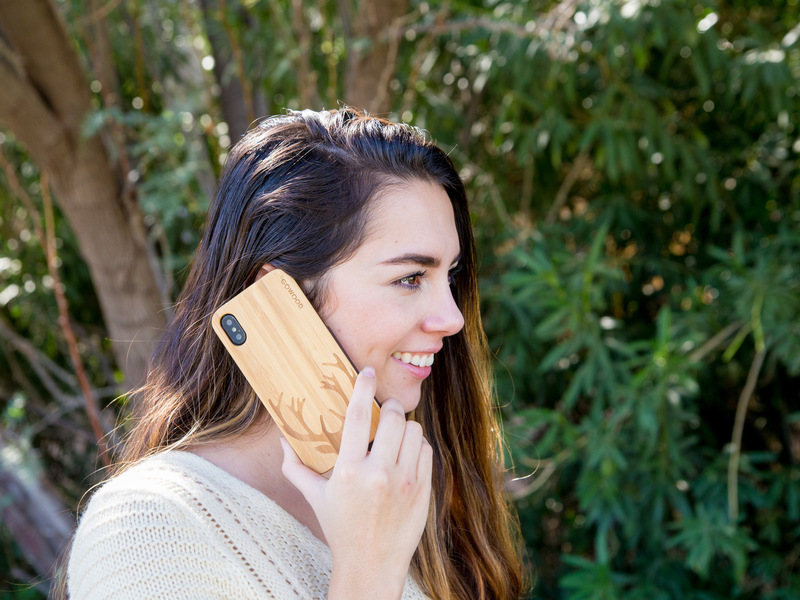 For information about the Apple iPhone X, visit the Apple iPhone X specifications page.